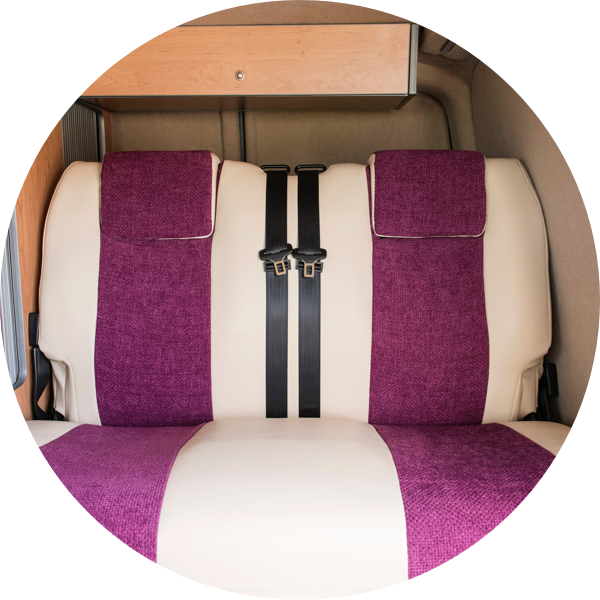 Our Sportcamper conversion has taken time to develop and our aim has been to provide the best possible mix of comfort and practicality using high quality components. 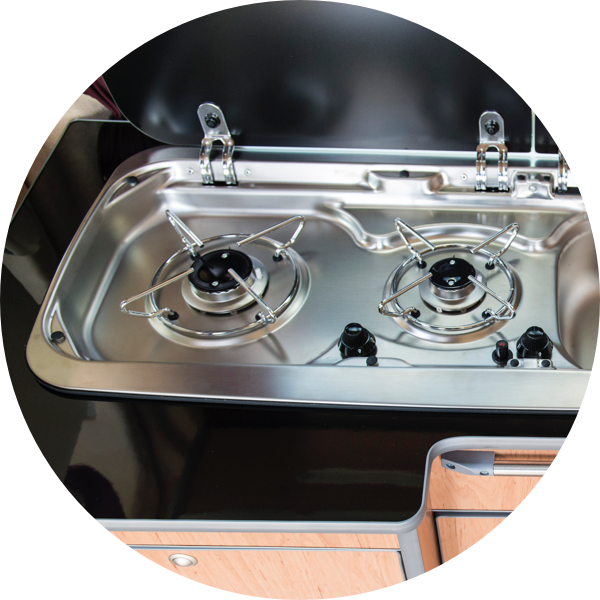 The fully equipped kitchen includes a Waeco fridge freezer with auto changeover from 12 volt to mains when on hook up, a Smev double ring LPG gas burner with integral sink. The sliding door is on the UK nearside which in our opinion allows safer access and egress for children. The front twin seat swivels around so the living area opens up for easy conversation and eating on those not so great wet and windy days and when it’s a bit too wild to be outside. 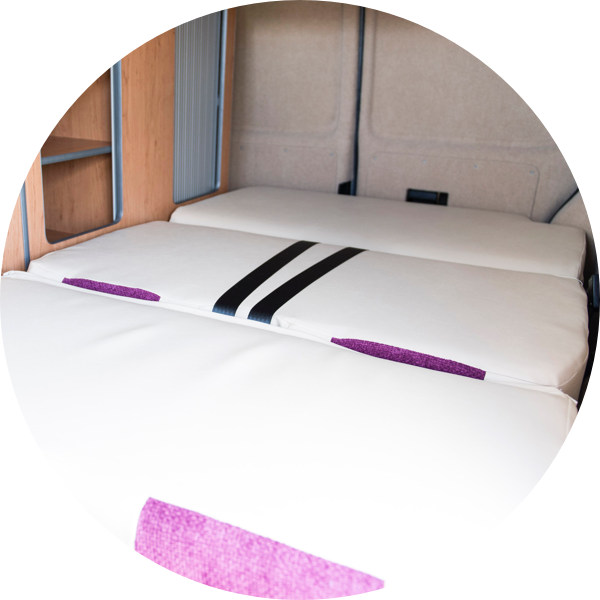 The Sportcamper is a 4 berth for sleeping and has 5 fully seat belted travelling seats. 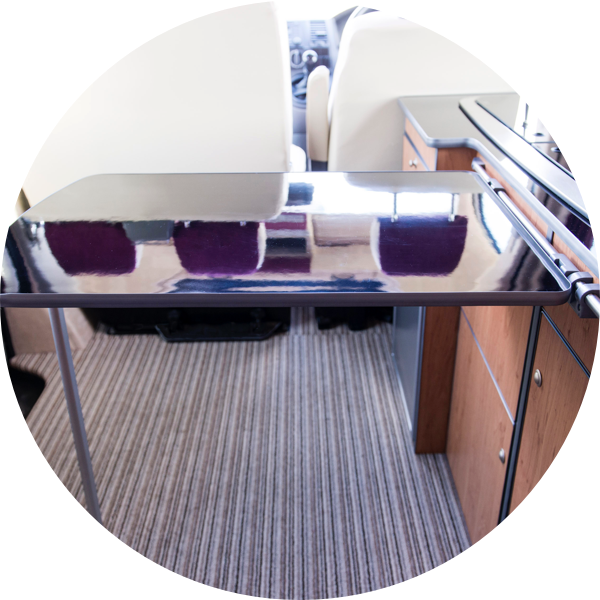 The rear rock ‘n roll seat converts into a top specification RIB Altair bed, installed using an approved certificated mounting system with simple lever operation. 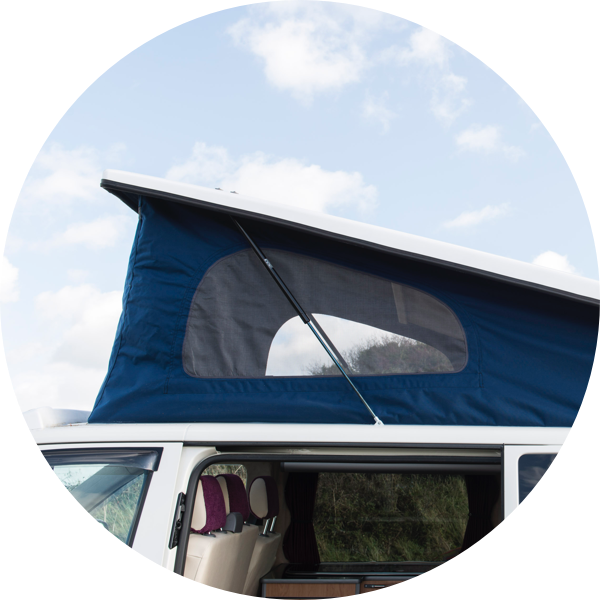 Even during the UK summer, the nights can get chilly so the van has been fully insulated, the curtains offer full blackout and have thermal lining and we have included as part of all hires, the insulated screen pack. The insulated screens take a few minutes to fit but are the equivalent to 55mm of insulation so it all will help to keep you as warm as possible. 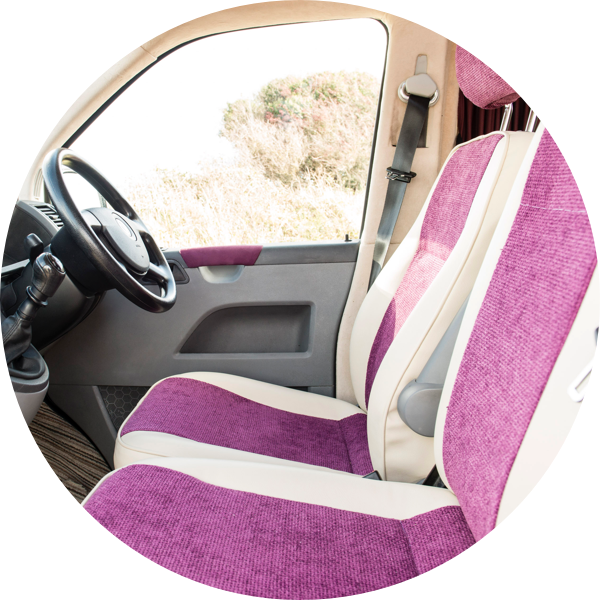 The front twin seat swivels around so the living area opens up for easy conversation and eating on those not so great wet and windy days and when it’s a bit too wild to be outside. The pop up roof bed is on hydraulics so it is easy to lift during the day to give full height in the living area and just as easy to pull down in the evening for settling the little ones into bed for a good nights sleep. Well thought out furniture from Evo Design which has been specified with additional under seat storage, over sink shelving and inset shelves on the full height unit. 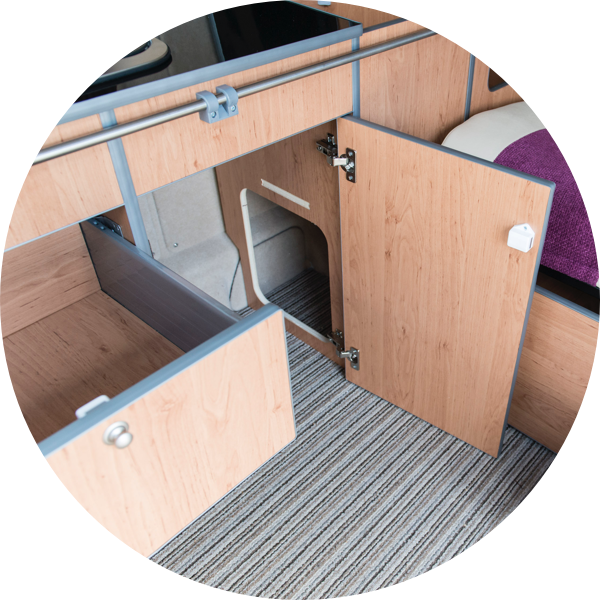 Safety is important to us so our Sportcamper has a GasSafe certificate, Electrical Safety Certificate and the RIB bed is also has an installation certifificate.